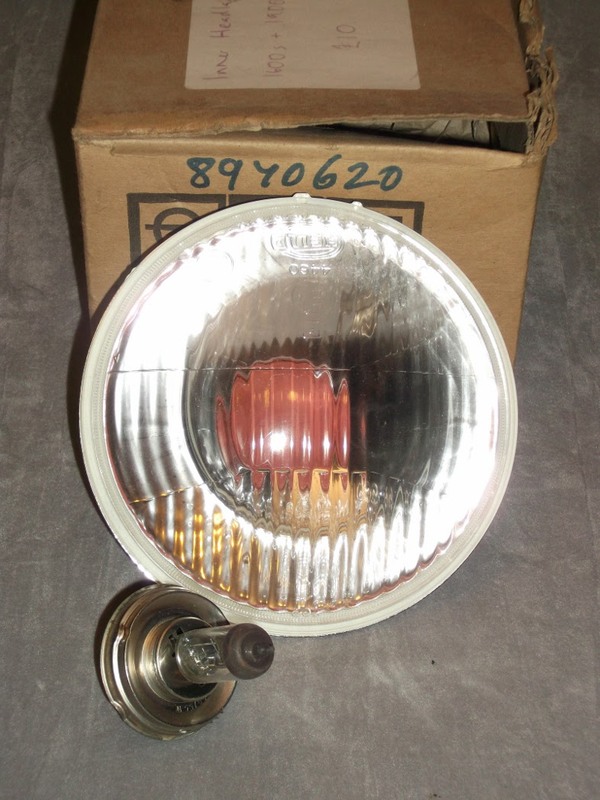 On offer is a single headlamp, suitable as replacement for the inner (main beam) unit on the Opel Manta A series. 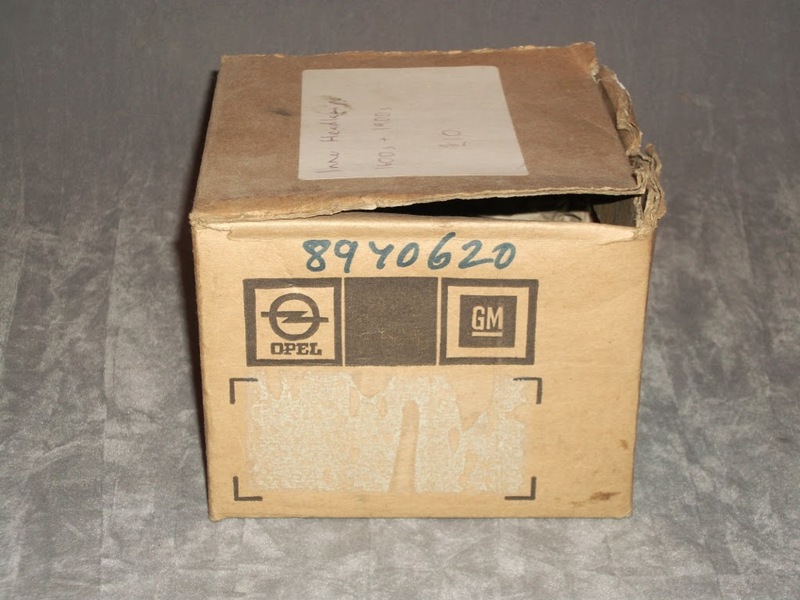 Manufactured by Hella, it has the following part number on the glass - 4460 and the unit is labelled as - 1F3 001 162-01, the GM part number 8970620 is hand written on the box. It is designed to accommodate the H4 lamp unit with the three large spade connectors. For UK Manta owners that will correspond to the base model Deluxe normally fitted with the 1600cc engine and not the SR/Berlinetta models fitted with the 1900cc engine. Changing over to the H4 from the H1 type will require new connectors of the appropriate type; a 30 minute job with a crimp tool if you know your way around electrics. So what are the advantages of H4 Halogen units? Easily upgraded.... the H4 lamp is not only available in the standard 55 Watt output, but also uprated Xenon versions. There are even discharge and long life CREE led upgrade options available. It is the correct original styled replacement part... so good for Concours competition purists. This part is available for £30.00 which includes delivery costs. I will include a very clean salvaged rubber moisture protector boot and it will be substantially packed for safe arrival. Do ask if you are interested in stainless steel M4 retaining screws to replace the awful mild steel original parts; or backing plates, trim rings, beam adjusters or many other similar items I have in stock.